A nonrecurring opportunity for visiting one of the most beautiful territory of the alps. Family Niederkofler from Lutago (Aurina Valley) invites you to enjoy an unforgettable holiday. The Hotel is open all year round and guarantees relax and variety in all seasons. At the Oberachrain farm you can enjoy tranquility, hospitality and a special atmosphere. 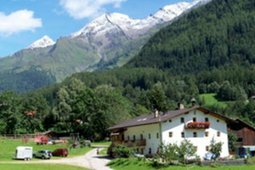 The farm is located in the heart of the Ahrn Valley in South Tyrol, surrounded by green meadows. From here you can admire a beautiful mountain panorama surrounding this unspoilt valley. 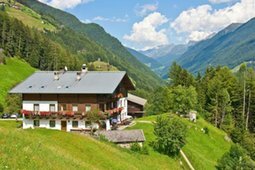 The Residence Löfflerblick is quietly located on the edge of the town of Steinhaus in the Ahrntal Valley, amidst impressive mountain ranges of the Tauferer Ahrntal Valley, part of the Puster Valley and one of the most beautiful mountain valleys in South Tyrol. 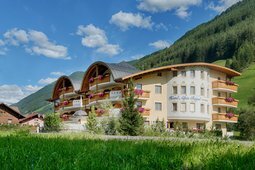 Spend your holiday at Hotel Bergland in the beautiful Ahrntal, a full immersion in energy and rest, peace and beautiful mountains. 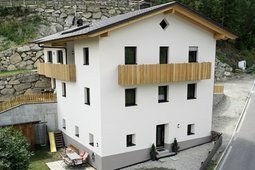 New suites/apartments, sleeping 2-4, furnished in a modern alpine style. You have the option to choose: vacation in the apartment with more rooms type A or type B – or we invite you to spend your holiday in one of our apartments in the adjacent residence. 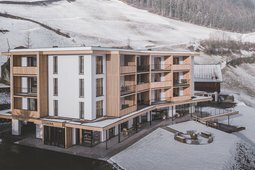 Ahrner Wirt stands for alpine happiness, lifestyle and comfort. 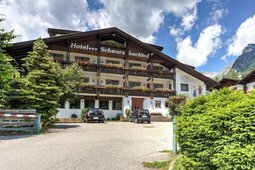 It disposes of 16 apartments in the middle of South Tyrolean nature which guarantee unforgettable moments of joy and an unique holiday experience. The hotel Griesfeld is located in San Giovanni in the valley Aurina. It is a family run business, surrounded by beautiful mountains offering a pleasant atmosphere. The comfortable rooms all have balconies and are equipped with natural materials which guarantee a perfect stay. The house is set in a quite position on the edge of the wood, right in the heart of an excursion area and offers apartments furnished with style. The wonderful panorama of the Zillertaler Alps, with their 3.000m high peaks, will make your stay unforgettable. 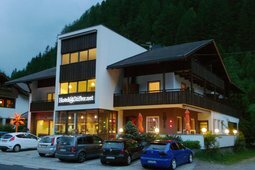 The Hotel in Ahrntal Valley is ideally located, only ten minutes from the village center St. Johann. It is set in a perfect starting point for your walking tours. There is also a bus stop in front of the house. Apartments Niederkofler are located in a quiet, sunny position. The house is the ideal starting point for beautiful walks, hikes and mountain tours. The apartments are very modern and comfortably equipped. 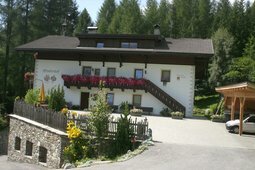 The Alpenresidence is situated in the centre of the village Steinhaus/Cadipietra (1.052 m a.s.l.) and is the perfect place for a holiday dedicated to relaxation, nature and sports: you will find everything you need here in the hiking and snow paradise Ahrntal/Valle Aurina! The residence Bergrichter in Caldipietra is in the middle of an historical site which is made up of a main building, the Pfister house, a chapel and a hayloft. It is located in the main building which was built during the most flourishing times for the copper commerce in Predoi. House Moula is located in the center of Steinhaus. Many guests, hikers and skiers alike, have come and gone over the years. House Moula is located away from the main road to ensure peace and silence to the guests. Welcome in Valle Aurina! 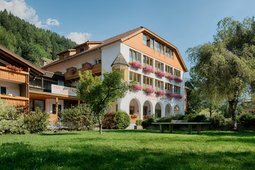 The Hotel Gisserhof is located in the village of San Giovanni, set in a romantic landscape at the edge of the forest in the very heart of the Aurina valley. The hotel offers comfortable rooms, an inviting spa area and a large garden with a sunny lawn. 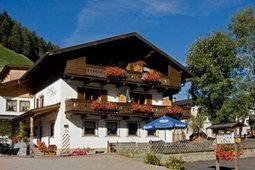 The Apartments An der Aue are situated in a quiet position in the village of Cadipietra/Steinhaus (1054 m. above the sea level), surrounded by green fields. Cadipietra is part of the skiing and hiking area Klausberg and offers many leisure activities. Have you been dreaming of a stay in an aparthotel? The apartment-style accommodation pairs the casual, relaxed comfort of home with the luxury and amenities of a hotel. Visit the Stoana, the one-of-a-kind hotel tucked into Valli di Tures e Aurina/Tauferer Ahrntal. At the Hotel Talblick the Stolzlechner Family creates an atmosphere of well-being for the guests, aiming to offer authenticity alongside the wonderful scenery of the Ahrntal Valley and placing the emphasis squarely on simplicity and individuality. A warm welcome in the comfortably and lovingly furnished rooms and apartment of the Pensione Anna. No matter if you are here for a hiking or skiing holiday, you will surely leave the daily routine behind! Enjoy some relaxing and peaceful holidays in Prettau. 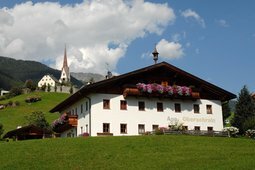 The Großarzbachhof farmhouse is located in a quiet spot at 1,050 meters above sea level, between the villages of Lutago and St. Johann in the Aurina Valley. From there you can enjoy magnificent views on the beautiful mountains of the Zillertal Alps. 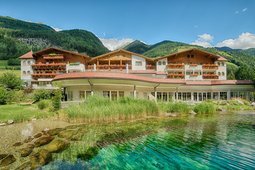 The hotel Alpwell Gallhaus in the valley Ahrntal is known as an oasis of silence and relaxation. The cozy garden of the hotel ensures guests during the summer a nice stay, enjoying the smell of flowers and flowering plants. 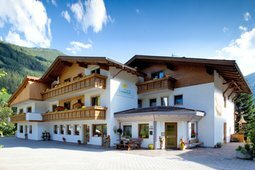 In this traditional mountain hotel, you can experience a hearty hospitality and the South Tirolean art of living. The hotel is characterized by its traditional and warm ambience. It was already mentioned as a guesthouse in the documents of 400 years ago. 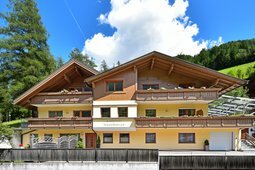 The Wasserer apartments are located in a quiet and sunny position on the southern edge of St. Johann. The apartments are furnished in natural wood for a relaxing holiday. You can also enjoy the fresh, natural fragrance of the nearby forest and the green area on the large lawn. Rent one of these spacious apartments with family or friends. Exclusive features and luxurious interior design make your days more enjoyable. Snuggle next to the warm stoves, or relax in the wellness and garden area. The entire house is covered with free WiFi. 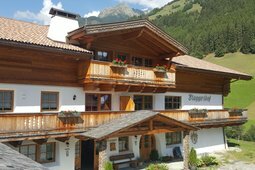 For over 30 years the Steger family offers rooms to tourists and guests in the Ahrntal. The house offers different rooms but also apartments. Predoi / Casere is a village situated on the sunny side of the most beautiful peaks of the Central Alps. The original house was built around 1850 in the traditional style of this time. At that time, the stone house was used by its owner to support destitute unmarried girls. They were allowed to live there and in return they made rosaries for the church. Enjoy warm and friendly atmosphere in one of the finest residences in the mountain paradise. 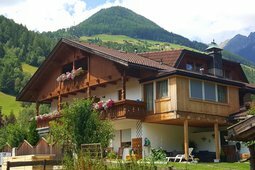 The house enjoys a magnificent location on the sunny side of the Ahr valley and is the starting point of many hiking trails for your holidays in the mountains. Have you already started to plan your next holiday? Are you looking for unspoilt countryside, tasty food, welcoming hosts and an inviting environment, all as authentic and natural as possible? 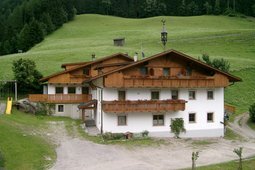 Then a farm holiday in South Tyrol is the right choice for you. 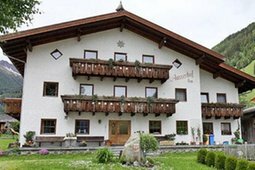 The Obergruberhof is located on the sunny side of the Ahrntal Valley, surrounded by beautiful high mountains, in a quiet area 1 km from the center. Easily accessible by car in summer and winter. Conveniently located for hikers who want to experience nature in all its diversity. In the apartment house Gartner you can enjoy a relaxing holiday with friends. The beautiful garden with many flowers invites you to linger. In San Giacomo, at 1100 m altitude, you will find a small paradise, ideal for a variety of activities in Valle Aurina. 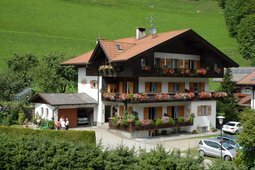 The House Bergkristall is located 1000 meters above the sea level, in the sunny village of San Giovanni, at the foot of the Alps of the Ziller Valley, in a central but quiet position. 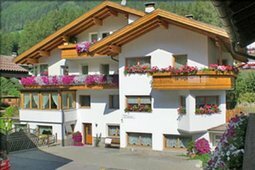 Enjoy the spectacular mountain views of the Valle Aurina and the village of San Giovanni. 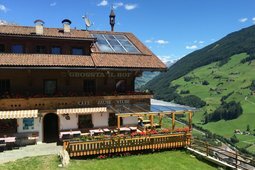 The house is located in a very quiet and sunny spot in St. Johann in Ahrntal, with wonderful views on the surrounding mountains. In summer it is the ideal starting point for excursions and beautiful walks in the impressive nature. 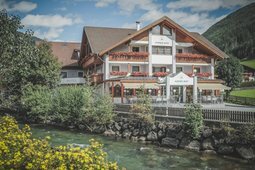 The Hotel Auren is situated on the edge of small wood on the the river Ahr, just a few minutes from the centre of St. Johann. 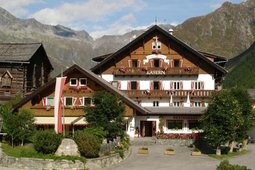 In Summer, the hotel is set at the an perfect starting point for hikes, bike rides and walks on the best paths and mountain trails in Ahrntal. 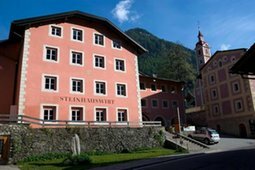 The small and traditional Hotel Steinhauswirt is part of the historic center of Cadipietra, in the middle of the Ahrntal valley. The hotel enchant its guests and provide them with all the little pleasures they need. 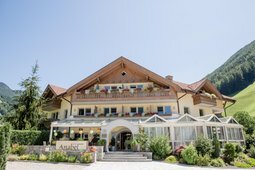 Hotel Anabel is located in the stunning mountain landscape of the Ahrn Valley, in the middle of 3000 m. high peaks, two ski and hiking areas and the renowned pastures of South Tyrol. Therefore, it is an ideal starting point for all kinds of activities. 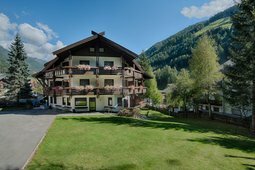 In the apartments Zimmerhofer you will enjoy your relax or active holidays in Ahrntal Valley, in the middle of a beautiful countryside, only 150m from the ski-area Klausberg / Ahrntal. In this part of South Tyrol you find top events in summer and winter. 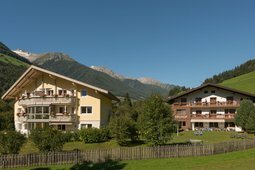 The residence Klausberg is situated in a quiet and sunny position in the center of Cadipietra, directly opposite the ski area Klausberg. Here you can enjoy your stay in comfortably furnished studios and two room apartments with balcony. 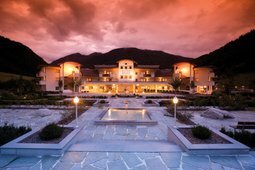 Wellness and a living standard at the highest level in one of the most beautiful areas in the Alps. Insider tip! 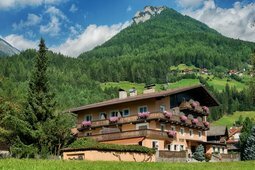 In the heart of the Ahrn Valley, one of the most astonishing valleys in South Tyrol, the Luxury Hideaway & Spa Retreat Alpenpalace awaits you. Spend an unforgettable holiday and breath in the fresh mountain air at the Platterhof. Enjoy the friendly and informal atmosphere of this family-run property. 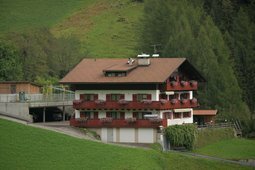 The Bed & Breakfast Waldeck is a friendly family run business located on a quiet and sunny spot (1,190 m a.s.l.). 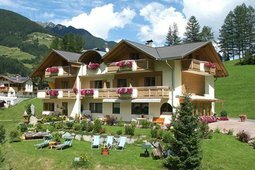 The position offers stunning panoramic views of the Ahrntal. The sunny terrace with adjoining lawn is a popular gathering place for guests. Do you dream of a homely hotel with an extra serving of comfort? Enjoy yourself with all of your senses: appreciate the South Tyrolean and Italian delicacies and look forward to wonderful, relaxing holidays at the centre of this picture-perfect natural scenery. 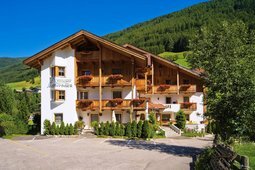 Hotel Stifter is located in the mountain village of Lutago. 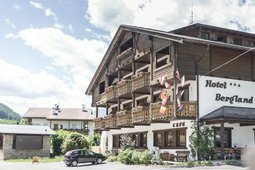 The Hotel offers modern rooms with free Wi-Fi and views of the Alps, guests also have a snack bar, an internet cafe and free parking spots at their disposal. During your holidays at Hotel Stegerhaus you will be surrounded by a warm and cosy atmosphere, far away from the noise of traffic and the stress of everyday life. Spacious rooms and halls and a courteous service will make your holiday dreams come true. 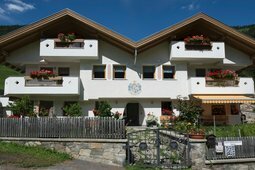 Welcome to the apartments Knapp located in the center of Luttach / Luttago! The house offers the opportunity to spend a holiday in the middle of nature and in complete relaxation in two apartments that can accommodate up to 6 people. In the Alpin Royal time does not matter. The special flair of the Wellness Refugium & Resort Hotel invites you to experience unforgettable moments in luxurious and cozy comfort. Dreams come true to carry you into a wonderful world enchanting all your senses. Experience unforgettable holidays and spend the most wonderful weeks of the year in the Hotel Schachen. 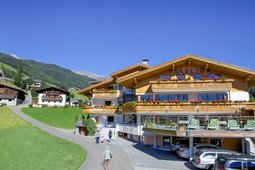 Enjoy South Tyrolean hospitality and warmth combined with the beautiful panoramic views of the fascinating Tauferer Ahrntal countryside. 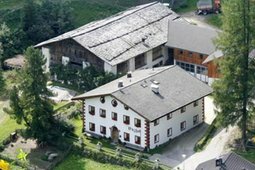 The Ausserhof farm welcomes its guests in a wonderful location in the center of Rio Bianco. This idyllic village at 1.350 m offers the opportunity to spend a relaxing holiday in a place where the world is still simple. Here you will forget the stress of your everyday life. Decidedly traditional, fundamentally contemporary. The philosophy of this hotel is to harmonize the indoor with the outdoor environment. The owners want the hotel to be a like a sanctuary for the guests, where daily stress and worries seem to disappear. 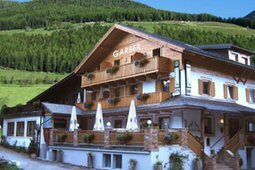 The small hotel Garber is located in a quiet and sunny position in the idyllic mountain village of St. Jakob in the Ahrntal valley, surrounded by meadows and forests. This is the ideal starting point for numerous hiking trails. In the house Am Wasserfall you can escape the stress of everyday life and the sounds of traffic, you will find the right tranquillity to recharge by staying at a house surrounded by lawns, gardens, woods and mountains. Spend your vacation in Steinhaus on the farm Enzhof. The farm is characterized by a romantic familiar atmosphere for an unforgettable vacation. The farm offers a holiday with friends, in a comfortable environment and with the ability to live in contact with animals.